I am confident we will be able to form the government again," Mr Fadnavis told reporters. Devendra Fadnavis exuded confidence that people of Maharashtra were with the party. 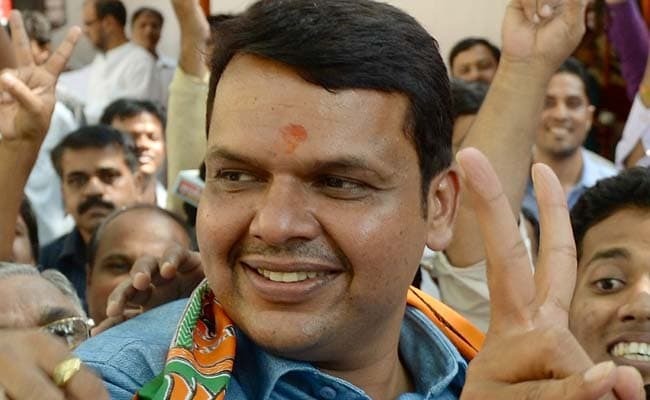 The BJP unit in Maharashtra is prepared for mid-term polls, Chief Minister Devendra Fadnavis said in Mumbai today. Mr Fadnavis made the remarks in reference to reports speculating mid-term polls in Maharashtra amid farmers' stir seeking loan waiver in view of the agrarian crisis. The Fadnavis dispensation had announced the long-standing demand of the waiver last Sunday. "Some people said (when the agitation was on) that they will bring the government down, will withdraw support. I said we are ready for mid-term polls. "If someone wants to impel us to go for mid-term polls, I am confident we will be able to form the government again," Mr Fadnavis told reporters without naming any party. Buoyed by the BJP's success in Maharashtra local governing bodies' polls, held in the recent past, Mr Fadnavis exuded confidence that people of the state were with the party notwithstanding various agitations against the state. "This success was unprecedented and no other party achieved such success. The Congress-NCP couldn't attend the success even during their hay days. So, people believe in the government," he said. Talking to a Marathi news channel recently, Shiv Sena MP Sanjay Raut had suggested that the Shiv Sena would withdraw support to the government if the loan waiver was not announced.